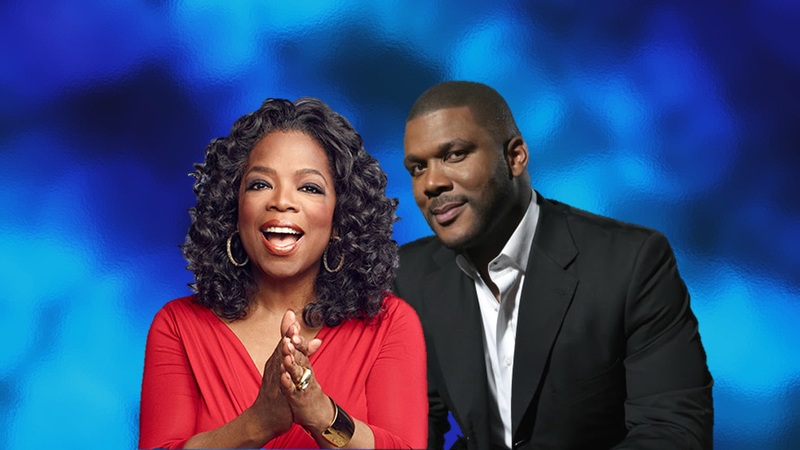 Black Industry moguls Tyler Perry and Oprah Winfrey. HELLO AMERICA!—It pains me tremendously, but the truth must be told, that our so-called Black stars of film and stage today who are touted having so much power and dedication in giving back to the ever-struggling artistic community is a complete fallacy. During the 40s and 50s, people of color who were fortunate enough to have doors of opportunity open to them did not hesitate to do the same for other talented, struggling artists. I can attest to this because of being fortunate enough to experience this kind of kindness and consideration from such iconic artists as Ethel Waters, Louis Armstrong, Duke Ellington, Paul Robeson, Hazel Scott, Pearl Bailey, all took time to listen and care. They didn’t have guards or flunkies protecting them from those who made it happen for their so-called success. These were the very people, by the way, who supported whatever they represented on film or the stage. I am addressing this currently because of being forced to understand who we really are in today’s competitive, hungry, unfeeling world of “ME” first. Most of the considered highly successful Black stars of TV, film and even the theatre, portray a face of caring and dedication in giving a brother or sister a helping hand who might make a difference, as well, in an industry that is very guarded and careful when opening the door of opportunity for those who don’t resemble themselves. However, it must be stated that in many cases, one of color in the industry, generally, might receive more respect from anyone who is not a Black director, producer or major star, it’s sad but true. It has been my experience when approaching any of the so-called Black moguls of our industry’s production offices, the staff employed to meet the public or others representing that company were rude, bitter sounding, young ghetto women or men stuffed with an overbearing attitude with an obvious chip on their shoulder; all anxious to prove their momentary power given to them while sitting at the front desk. I know it’s difficult to handle the truth, but it might be wise to find a way to do so. It is very uncomfortable to view award shows such as BET or the URBAN LEAGUE raving about so-called stars who are contributing so much in changing the face and attitude of the industry when it relates to those of color. Only a handful of people of color deserve this kind of applause; the others are people who would rather see you dead before giving you a helping hand. To make it worse, many of these people might show up in their respective church, seen bowing their heads or on their knees looking up to the heavens, singing the songs in deference to their programmed learned high power.